Taylor Lindsey Homes offers high quality new homes for sale on three exceptionally well-located developments in central Lincolnshire.  We provide a 10-year NHBC warranty and hold a coveted ‘A1’ NHBC rating which is only given to builders who consistently deliver quality. Why choose a Taylor Lindsey Home? We have been building new homes in Lincolnshire for over 70 years and have a dedicated, experienced and professional team. We hold an ‘A1’ rating with the NHBC which is only given to those house builders who deliver consistent quality. We are committed to providing an excellent after sales service to ensure our customers remain happy with their new home. Taylor Lindsey Homes has been building new homes in Lincolnshire since the 1940s. Based in the historic City of Lincoln, we specialise in well-built traditional homes on some of the best located sites in Lincoln and the surrounding areas. We are very proud of our reputation for build quality and attention to detail. Taylor Lindsey also offer a wide range of homes to rent. All properties are owned by the company and we do not let or manage properties for third parties. We have a range of accommodation including flats, bungalows, houses, student houses and executive homes. Taylor Lindsey is also an approved provider of affordable homes.